A Moleskin all in its own is pretty darned fancy, but an Evernote Moleskine has the added bonus of capturing my scribbles into searchable text. Queue cloudy skies parting overhead. Yes! My scribbles can be indexed so I can (next time that cabbage is in season) remember that I served my regular ol’ tacos with a spicy mexican slaw. I will also be able to make sense of my recipe scribbles and figure out whether that last batch of salsa had raw or grilled onions. 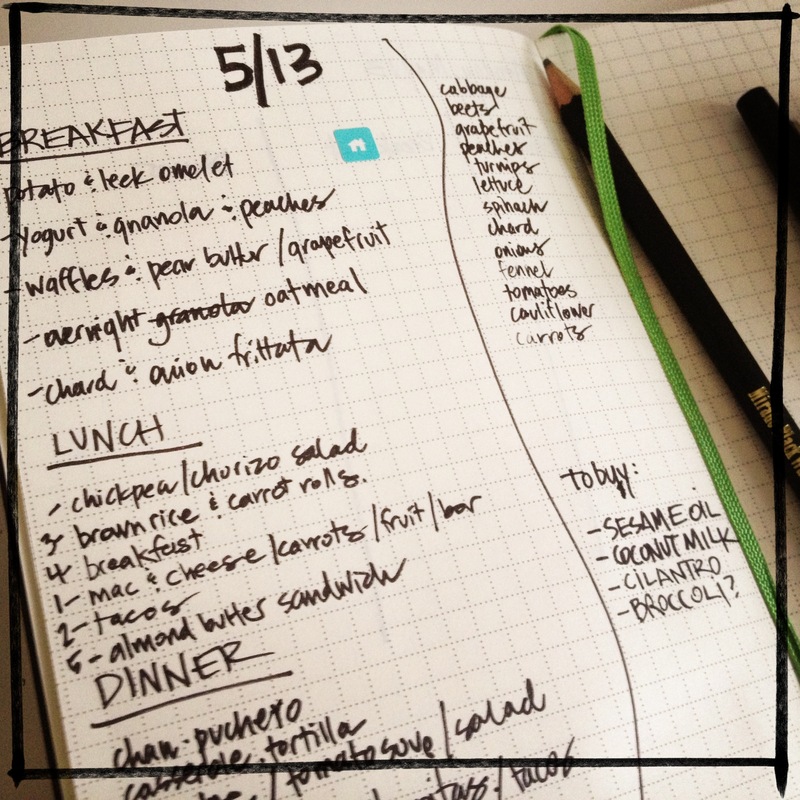 I am hoping that I get a little more inspired with her lunches. We only have a couple of weeks left before summer hits and I must redeem myself. I’ll report back soon on how my Evernote journal is working out. Have a great week! 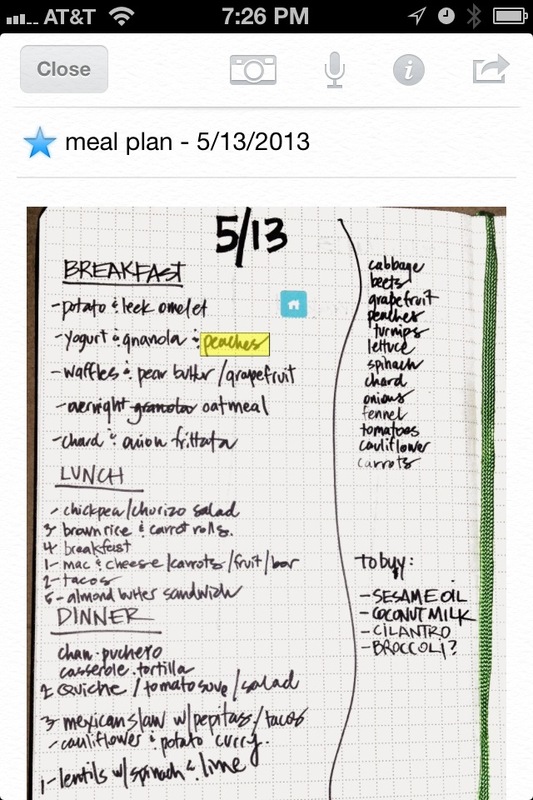 Can’t wait to hear more about the Evernote Moleskine! !